We hope that when the Holy Father visits his native Germany later this month he will have an opportunity to enlighten his German brother bishops, particularly Hans-Jochen Jaschke, on the calamity that awaits Europe unless Islamic immigration is curbed and Europeans rediscover the historic Church and renew their faith. Clearly the Holy Father is not as naive as Bishop Jaschke, who speaks for no one but himself. 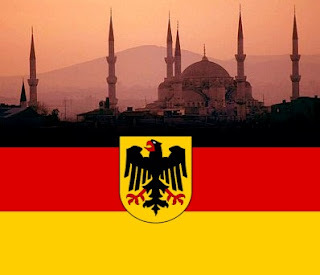 As we have reported, Monsignor Georg Gaenswein, the Holy Father's closest aide, has spoken about the threat posed by Islam and the denial and naivete that is so prevalent throughout the continent. 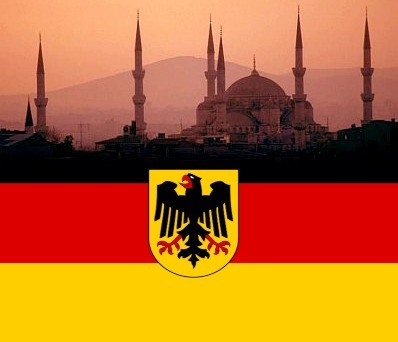 As Turkish prime minister Recep Tayyip Erdoğan famously said, “The mosques are our barracks, the domes our helmets, the minarets our bayonets and the faithful our soldiers.” The German Catholic hierarchy has decided to help the Turkish invaders build their barracks, affix their bayonets, and bring their faithful soldiers into Germany. Hamburg (kath.net/KNA) — The Hamburg auxiliary bishop Hans-Jochen Jaschke has called for the construction of new mosques in Germany. At the same time he called on Christians symbolically to support the opening of such buildings. “I think that it is conceivable that Christians will give Muslims presents at the opening of a new mosque — as a sign of sympathy, good neighbourliness and religious solidarity,” said the spokesperson for the German Bishop’s conference for interfaith dialogue as reported in Hamburg’s daily paper, Die Welt. One possibility, for instance, would be a plaque with a verse from the Bible and one from the Koran. The churches could start a collection of money for the financing of a gift, according to the bishop. “We Christians support the construction of beautiful mosques,” says the bishop. People should feel that belief is connected to beauty and culture. However, Jaschke also warned that there are Islamic parallel societies with separate infrastructure found in the vicinity of these mosques.